Dead Boy Detectives #5 Simpsons One-Shot Wonders: Duffman The Eltingville Club #1 The Walking Dead #126 Purchased at Bob's Comic Castle. Total Cost: Around $15.00 Note- Despite some Green Lantern spoofery in Duffman and some Dead Boy charm, Eltingville Club was the clear winner this time around! Sad, bitter, dense fun from Evan Dorkin! Jerry is a member of The Eltingville Comic Book, Science Fiction, Fantasy, Horror & Role Playing Club. He was created by Evan Dorkin. I’m pet sitting for my friends, Jerry and Judy, so the weight of responsibilty falls on my meager shoulders again. Must keep the animals alive! I'm such a weak man. I'm eating a piece of colby jack cheese. S.P.A.C.E. is this weekend. I’m sorry I won’t be able to attend this year. Still frustrated with myself for not writing about my last S.P.A.C.E. experience a couple years back. One of these days I’ll get my act together! Got tickets to see Cabaret at the Muncie Civic next Saturday. Looking forward to seeing my friend, Rita Wessel, back on the big stage again! Might see a movie today. Haven’t braved a multiplex in a couple years. Mad Men returns tonight. Game of Thrones is on, too. Unfortunately, I won’t be able to see Games. Sigh. Got scripts to write. Radio show in a couple weeks. We'll be performing an episode of Dragnet. At least, I have one script I don't have to worry about! Thanks, genericradio.com! Have I mentioned I'm a weak man? Astro City #11 Rocky and Bullwinkle #2 SpongeBob Comics #31 The Walking Dead #125 Purchased at Bob's Comic Castle. Total cost: $14.98 Notes- I have to admit I’ve been shirking my blogger duties in regard to my recent comic hauls. With my laptop freezing at the drop of the hat nowadays (Some days are better than others, of course), sometimes it’s better to surf the web than provide new content. Anyway that’s my excuse and I’m sticking to it…Saturday’s purchases felt ho-hum collectively. Astro City was lightweight to me (Nice cover tho! ), The “All Out War” storyline in The Walking Dead appears to be ending in a whimper (That's how Negan goes down? Really? ), and, despite a Mermaid Man story with art by Ramona Fradon, SpongeBob has been lacking its usual thrills the last issue or two. Only Rocky and Bullwinkle provided any pep so I name it the winner of this haul! Mermaid Man was created by Stephen Hillenburg. A placemat drawing I drew with a permanent marker that left a stain on the restaurant's tabletop (4/6/14). In retrospect, not my brightest idea. P.I. Samurai Slate takes a bath. Samurai Slate was created by Keith O'Brien. 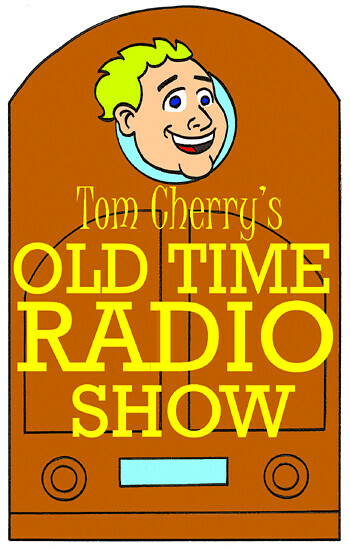 Tom Cherry's Old Time Radio Show hit the road on March 31 and performed in Foundation Hall at the Marquette Retirement Community in Indianapolis! In front of a rather sizable crowd (Nearly a hundred or so), we recreated a classic script from Fibber McGee and Molly and then we introduced our attentive audience to The Happy Hoppy Hopper Show and The Mayor of Farmland. Jerry and Judy Cole sang a bit and then we had one of our best contestants on It Pays to Be Ignorant basically steal the show away from us (Thank you, Ethel Booth, for allowing us to take it back!). It was a great experience and I think everyone enjoyed themselves. I know I certainly did! Thanks to Marilyn Martin and Casey Wente for their kindness and care as they opened their wonderful facility to us! And more thanks to our wonderful cast and crew (Wendy Carpenter, Sean Heline, Gabe Carpenter, Bob Green, Katy Wolfe, Jerry and Judy Cole, and Lindsey Cox) for creating another hour of pure radio fun! They truly are the best, folks, and it's always an honor to be in their company! Hopefully we'll have more opportunities to take the show on the road in the near future! I'm already looking forward to it!